The main conditions for Ukraine’s new, fourth macrofinancial assistance package from the European Union include the automatic verification of e-declarations, introduction of NBU credit registry and a verification system of ultimate beneficiary owners, as well as the abolition of the moratorium on exports of timber logs, the Finance Minister of Ukraine Oleksandr Danylyuk said as the result of negotiations in Brussels, Interfax-Ukraine reports. “Verification of electronic declarations mechanically as it is happening now is nonsense, considering the technology available nowadays. I am sure that through joint efforts with the EU office in Ukraine and UN office in Ukraine we will solve this issue in the nearest future”, - Danylyuk wrote on his Facebook page. What concerns the National Bank credit registry, the head of the finance ministry reminded that the law has been passed and its implementation has begun. 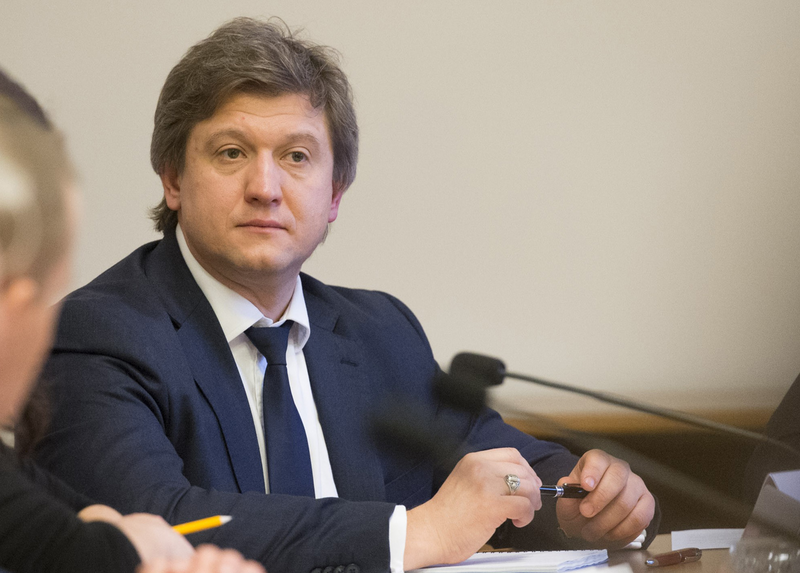 In regards to the exports of timber logs, Danylyuk pointed out that, taking ito account the sensitivity of this issue, the government is looking for ways to depoliticize this situation and finding a common ground. When it comes to the verification system of beneficiaries, the minister stressed that no such system is in place in any of EU member states. “Working together with international experts, we have already begun developing the mechanism. When the system begins working at full pace, it will become clear who owns businesses, what industries a person has influence on and where a conflict of interests may emerge”, - he explained. Danylyuk reminded that some of these conditions are those that were not met by Kyiv under the third EU macrofinancial assistance, which led to the Brussels denied its third tranche. According to the minister, if these conditions are met under the new program is rather realistic, although it is necessary to overcome vested interests and show political will. “The question is not just the continued cooperation with the European Union as a creditor and an important partner – the issue of our country’s reputation of a reliable partner and our ability to maintain our obligations”, - the head of the finance ministry said. He also added that among other important tasks that the EU is willing to assist us with are the establishment of the anti-corruption court, the continued banking sector reform, the implementation of the BEPS minimal standard. The minister pointed out that during the two-day visit he had meetings with the EU commissioner for economic and financial affairs, taxation and customs control Pierre Moscovici, the vice president of the European Parliament on international matters Zdzislaw Krasnodebski, the head of the Europarliament international affairs committee Elma Brok and leaders of the parliamentary factions that are going to make key decisions on the start of a new program of macrofinancial assistance from the European Union. According to the minister, representatives of the European Parliament and the European Commission note Ukraine’s progress, most importantly, on the reform of state finance, of the banking and energy sectors, as well as the results of anti-corruption measures, the creation of the National Anti-Corruption Bureau, the National Agency for Corruption Prevention, Prozorro and the automated registry of VAT reimbursement. As reported earlier, under the third macrofinancial assistance program, Ukraine has received two tranches worth €1.2 billion out of the allocated €1.8 billion. The European Commission denied Ukraine the third tranche, as the country’s government met just 17 out of 21 preliminary conditions. In March of this year, the European Commission endorsed the fourth macrofinancial package for Ukraine worth €1 billion, which needs to be approved by the European Parliament and the Council of Europe.